Imatinib inhibits the KIT and PDGFR tyrosine kinases, resulting in its notable antitumor activity in gastrointestinal stromal tumor (GIST). 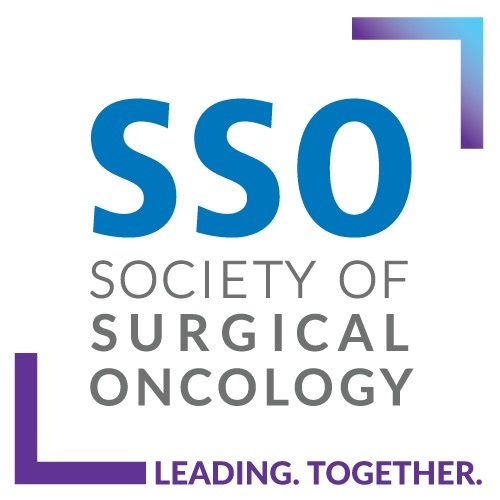 We previously reported the early results of a multi-institutional prospective trial (RTOG 0132) using neoadjuvant/adjuvant imatinib either in primary resectable GIST or as a planned preoperative cytoreduction agent for metastatic/recurrent GIST. 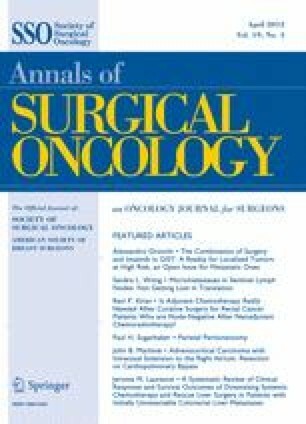 Patients with primary GIST (≥5 cm, group A) or resectable metastatic/recurrent GIST (≥2 cm, group B) received neoadjuvant imatinib (600 mg/day) for approximately 2 months and maintenance postoperative imatinib for 2 years. We have now updated the clinical outcomes including progression-free survival, disease-specific survival, and overall survival at a median follow-up of 5.1 years, and we correlate these end points with duration of imatinib therapy. Sixty-three patients were originally entered (53 analyzable: 31 in group A and 22 in group B). Estimated 5-year progression-free survival and overall survival were 57% in group A, 30% in group B; and 77% in group A, 68% in group B, respectively. Median time to progression has not been reached for group A and was 4.4 years for group B. In group A, in 7 of 11 patients, disease progressed >2 years from registration; 6 of 7 patients with progression had stopped imatinib before progression. In group B, disease progressed in 10 of 13 patients >2 years from registration; 6 of 10 patients with progressing disease had stopped imatinib before progression. There was no significant increase in toxicity compared with our previous short-term analysis. This long-term analysis suggests a high percentage of patients experienced disease progression after discontinuation of 2-year maintenance imatinib therapy after surgery. Consideration should be given to studying longer treatment durations in intermediate- to high-risk GIST patients. Presented in part at the 47th annual meeting of American Society of Clinical Oncology, June 3–7, 2011, Chicago, IL. An erratum to this article can be found at http://dx.doi.org/10.1245/s10434-012-2228-3. Supported in part by grants RTOG U10 CA21661 and CCOP U10 CA37422 from the National Cancer Institute (NCI). The contents of this article are the sole responsibility of the authors and do not necessarily represent the official views of the NCI. The authors received consulting fees, honoraria, and research support as follows: Consulting: Charles D. Blanke (Novartis), George D. Demetri (Novartis), Margaret von Mehren (Novartis), Burt Eisenberg (Novartis), Michael Heinrich (Novartis, MolecularMD). Honoraria: Charles D. Blanke (Novartis), George D. Demetri (Novartis), Michael Heinrich (Novartis), Margaret. von Mehren (Novartis), Burt Eisenberg (Novartis). Research support: George D. Demetri (Novartis), Margaret. von Mehren (Novartis). Michael Heinrich (Novartis, Ariad, Lilly, AROG Pharmaceuticals), Scott Okuno (Novartis). Stock ownership: Michael Heinrich (MolecularMD).